Tregonna King - Apple Tree £12.75 - Dual Purpose Apples Apple Trees and Fruit Trees For Sale. Buy at competitive prices with wholesale discounts. This variety of apple tree grows a good dual purpose eater and cooker with a sweet flavour that improves with time, thought to be at it's best when stored until or just after christmas.<br> The apples themselves are large and golden, flushed with red and orange and slightly russetted. The tree grows vigerously and gwenerally crops well.<br> Originally from Rezare near Launceston in Cornwall. 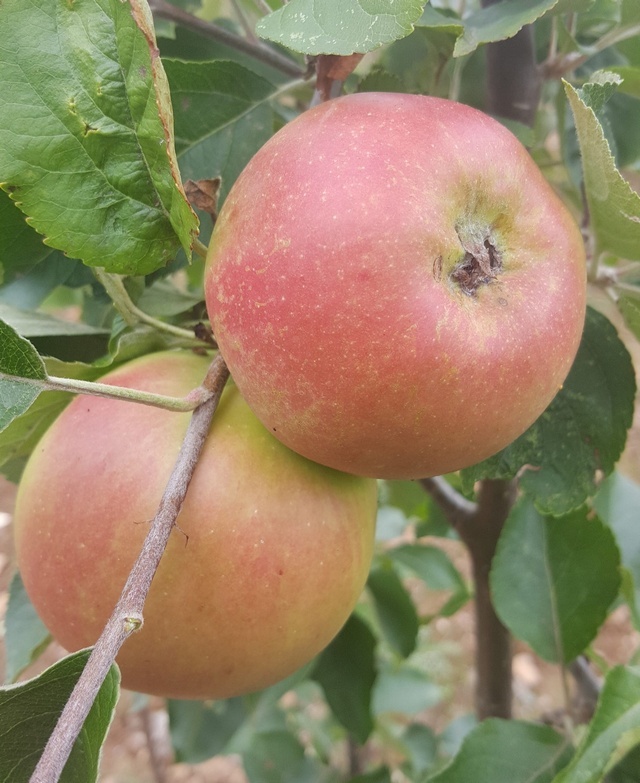 This variety of apple tree grows a good dual purpose eater and cooker with a sweet flavour that improves with time, thought to be at it's best when stored until or just after christmas. The apples themselves are large and golden, flushed with red and orange and slightly russetted. The tree grows vigerously and gwenerally crops well. Originally from Rezare near Launceston in Cornwall.